Mukesh Ambani is the chairman, managing director and the largest shareholder of Reliance Industries, India’s largest private sector enterprise and a Fortune 500 company. 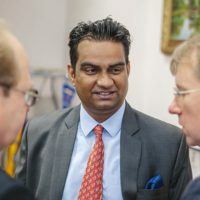 Lakshmi Niwas Mittal is a British Indian steel tycoon, philanthropist, and the chairman and chief executive officer of ArcelorMittal, the largest steel company in the world. 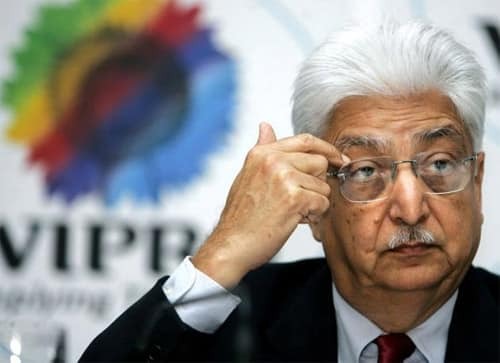 Azim Premji is an Indian business tycoon, philanthropist, and chairman of Wipro, a software company. He is most often known as Indian Bill Gates. Sunil Bharti Mittal is an Indian telecom mogul, philanthropist and the founder, chairman and managing director of Bharti Enterprises. Anil Ambani is an Indian business baron and a major shareholder in Reliance Anil Dhirubhai Ambani Group. He is the fourth richest Indian in the world, behind Mukesh Ambani, Lakshmi Mittal and Azim Premji. The Ruias have been in business since the 1800s. The Essar Group was founded over three decades ago by the Ruia family who migrated to Mumbai from Rajasthan. Ramesh Chandra is the founder of the multi-billion dollar Indian Real Estate company Unitech. Kumar Mangalam Birla is an Indian industrialist and the Chairman of the Aditya Birla Group, whose companies in India include Grasim, Hindalco, UltraTech Cement, Aditya Birla Nuvo, Idea Cellular, Aditya Birla Retail and Aditya Birla Minacs in Canada and Chancellor of Birla Institute of Technology & Science, Pilani (BITS Pilani). Tulsi Tanti is the chairman and managing director of Suzlon Energy, wind power based company.